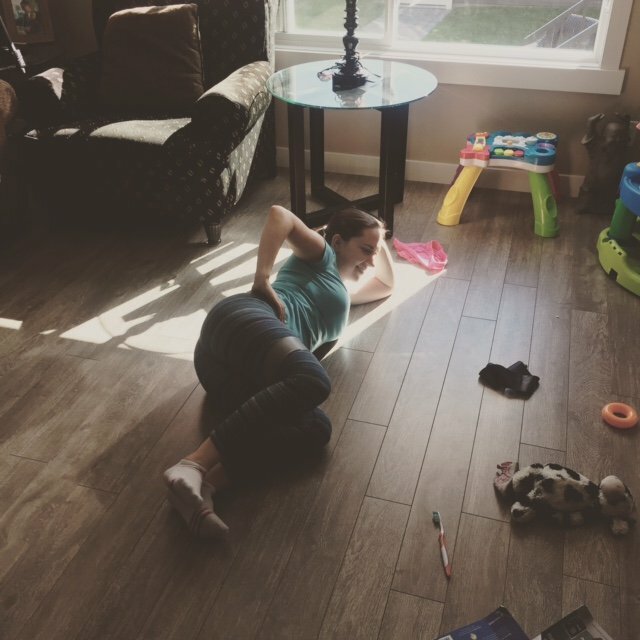 If you’re pregnant now or newly postpartum this is how I recommend you plan your return to exercise after baby. NOTE: if you’re a more seasoned mom and your body is craving some increased fitness intensity, these principles absolutely apply to you, too. This is exactly how I thought about my own return to exercise after pregnancy the past year and how I coach my clients in their return to workouts postpartum. 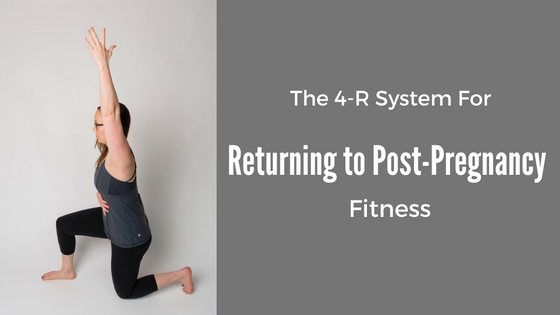 If you follow the 4R’s for post-pregnancy fitness you are going to be ready and set to get back into all the exercises and workouts you love to do, and want to do. And, you’ll be able to DO them for the long haul. For best results, we need to pay attention to each of these steps. Let’s talk about them. 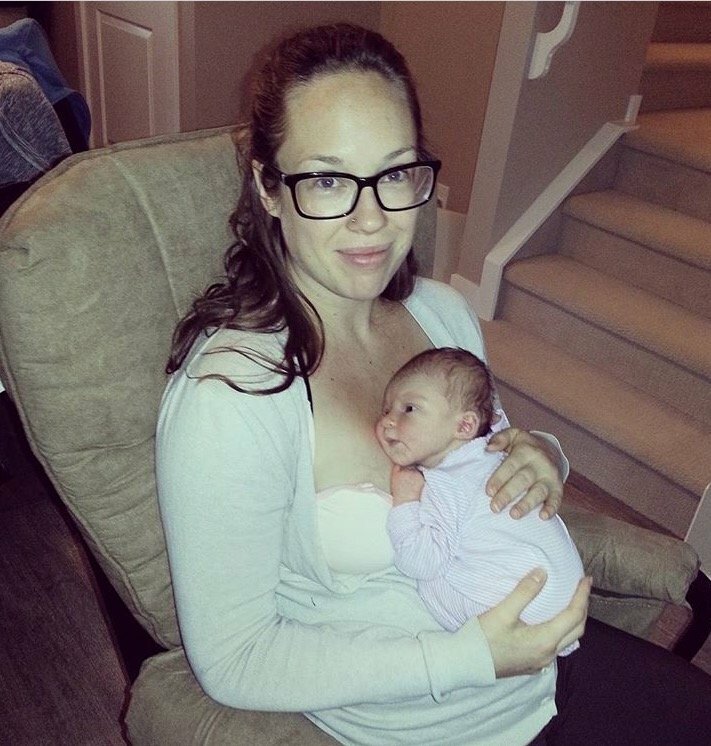 If you are newly postpartum, this is SO important. Your body has undergone a lot of changes and stress in pregnancy, through labor/birth (however it played out), and now in the early stages of postpartum and caring for a newborn. We need to respect this phase. Pay special attention to this if you’re a mama who has multiple kids, as it can be hard to take much down time in this situation. Keep reminding yourself to do less! Don’t feel bad or guilty AT ALL for insisting that rest time is important. This doesn’t mean NO movement or activity at all – nah! It just means that you likely will want to minimize lengthy periods of activity time for the first month+ postpartum to optimize the healing process. Try to be mindful of how much time you’re spending on your feet in the early weeks and first month(s) postpartum. And, balance that with time NOT on your feet. Feet up when you can, mama. This is an essential step for your body. The abdominal wall. The pelvic floor. The perineum. The pelvic organs. Postpartum means you’re recovering from an intensely physically challenging event – not to mention, mentally and emotionally taxing. Your body has undergone events that require recovery: BIRTH. These are real things. Yes, you are extremely tough, my friend. BUT, your body needs to chill out in order to recover well. One of my faves to talk about. Rehab of the body; namely, the core and the pelvic floor. Such an important step. Let’s get on top of this one ASAP. Whether it’s 3 weeks postpartum, or many years – it’s not too late. To retrain the core and floor we need to take a full body approach: alignment, breathing, lifting and carrying techniques, etc. This is not about just doing crunches and kegels to ‘fix’ you up. Here’s the kicker: following each of the 3 steps above that lead you here will make your return to the gym and more intense workouts FASTER. 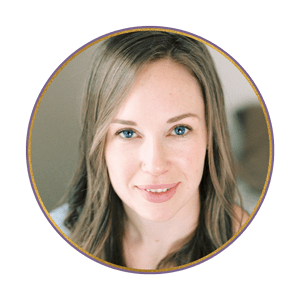 Women often think that jumping straight to this stage of retraining is that fastest path to getting back to workouts and being more comfortable in their bodies (another topic for another time). The seemingly longer, slower path is actually the fastest way. Rest, recovery, and rehab are the keys to getting back to retraining the body to function well (and do all the fun stuff again!). Retraining = (re)developing strength and fitness. How do we do this? For my mama’s it’s progressive, appropriately challenging, full body strength training workouts, paired with lots of general movement and walking. And, in due time, interval training cardiovascular workouts. There must be a purpose for the exercises in these workouts. A client of mine recounted a fitness class she attended where they did 30+ burpees with pushups for warmup to celebrate some guy’s birthday. Who wasn’t even at the class. Postnatal exercise isn’t just “training women”. This is so important to understand. There are semantics and specifics that need to be understood. The goal isn’t simply to make you tired in your workouts, rather the goal is to make you better, fitter, stronger. This is a whole bunch of physical stuff. But, I really think the 4R’s help us support our minds and emotions in key ways after-baby. If we are in a place when we believe and trust that this is the best and most proactive plan for our bodies, there is no pressure. No focus on getting “pre-baby bodies” back. We want to aim to get pre-baby body function back. And fitness, too, if that’s your goal! Support the body from the inside out and you will be on the right track.